Reid... to Shefflin... and it's over. There's something so right about that, something so natural and easy and, still, all these years later, it's as unique as it can be. If Kilkenny are proud of their hurling heritage, it's because of families like the Reids and Shefflins. It's because of the exploits of TJ - the vision, the perfectly-weighted passing, the nerveless scores. It's because of Henry - a name that does better talking than any adjective could. 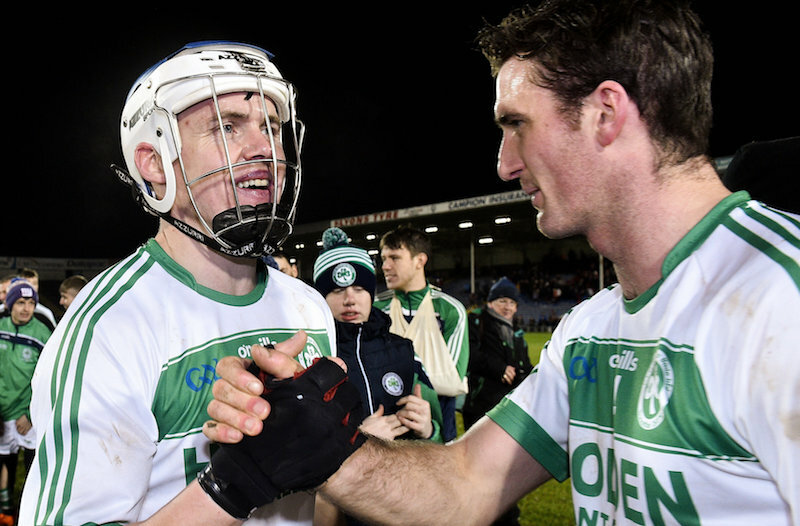 Ballyhale are into the All-Ireland senior club final after squeezing out Munster champs Ballygunner with five points to spare in a tight 1-15 to 0-13 win. 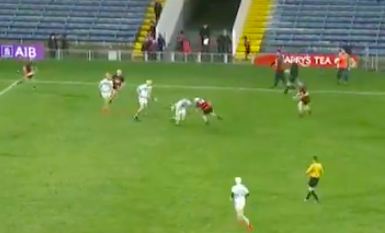 Teenager Eoin Cody fired 1-4 from play to lead the Shamrocks the decider against St. Thomas' of Galway but it was another piece of TJ Reid magic that lit the place up when he linked with wing back Evan Shefflin in the first half. Manoeuvring his way out of another tight area, Reid lost his stick but still maintained the same killer instinct, vision and audacity. Reid shakes off attention, like he does. Without a hurl, most people would just lay it off now to either of these options. TJ lines up the kick instead. 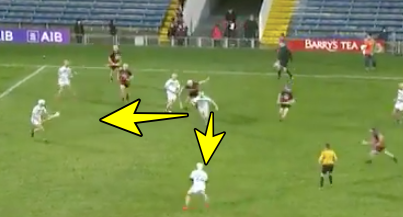 And goes over a head and flights a punt pass onto Shefflin's run. From there, Shefflin nails it. Despite the umpires waving wide, hawk-eye does justice for a brilliant score and a better assist. Watch it from 20 seconds in below. 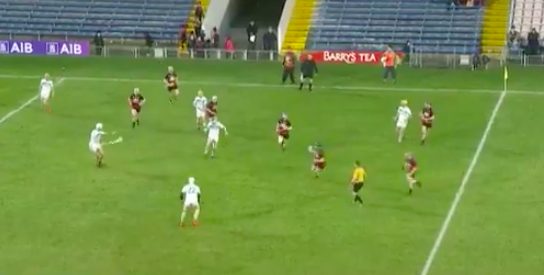 Ballyhale go on to the St. Patrick's Day decider where it's Kilkenny against Galway after Thomas' survived a Cushendall scare to book their place in the club final.